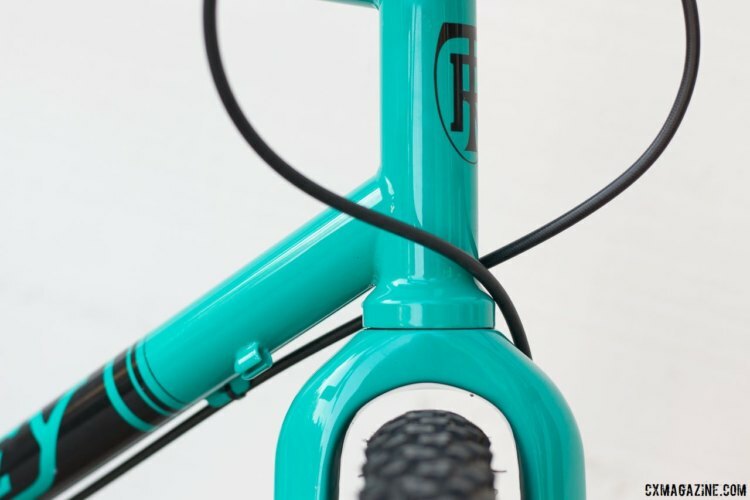 Tom Ritchey is one of the originators of the mountain bike, having been recruited to build the creation of Joe Breeze, Charlie Kelly, and Gary Fisher en masse thanks to his fillet brazing and manufacturing skills. Though Ritchey rarely picks up a torch these days, he is still very active in the local riding community and with the company that bears his name. 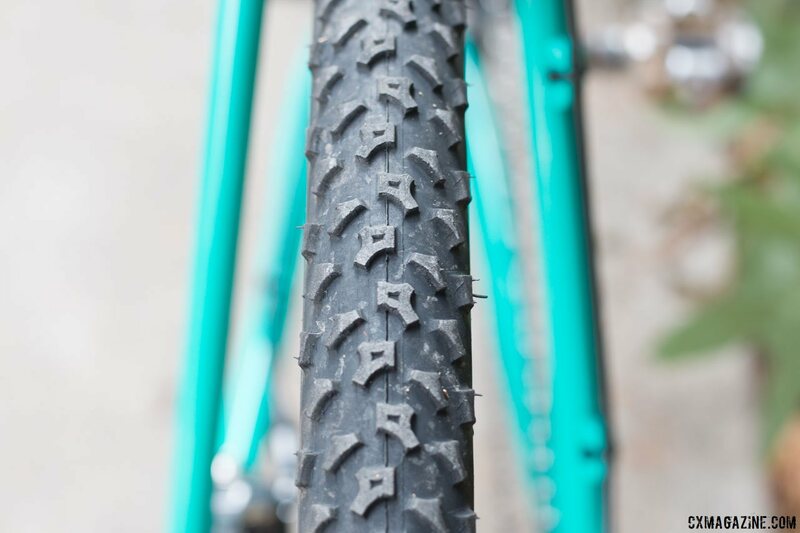 Earlier this year we profiled the Ritchey Swiss Cross and new tubeless version of the Speedmax 700c tire, and today, we are going the adventure route with a ride review of the Ritchey Outback. The Outback is a steel drop bar adventure frameset, ready for disc brakes, bigger tires and a wide gear range. 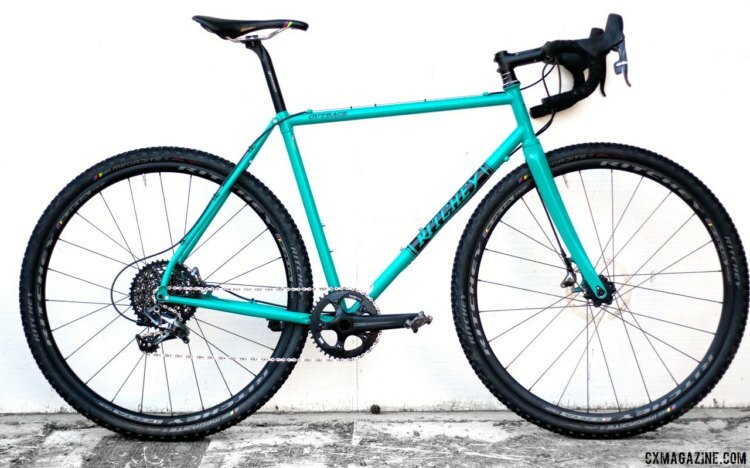 Tom Ritchey went back to his roots in the design of this TIG-welded Taiwan-produced frameset that uses Ritchey’s own designed Logic steel butted tubing. Although Ritchey described its P-29 as the return of the Mount Cross monster cross bike, the Outback might be closer in DNA and spirit to the legendary, versatile, go-anywhere 700c bike. The Outback, available as a frameset only, uses geometry that is common for modern “gravel” bikes. That is to say cyclocross with longer chainstays and wider tire clearance. The numbers include a 72-degree head tube angle combined with a 74-degree seat tube. 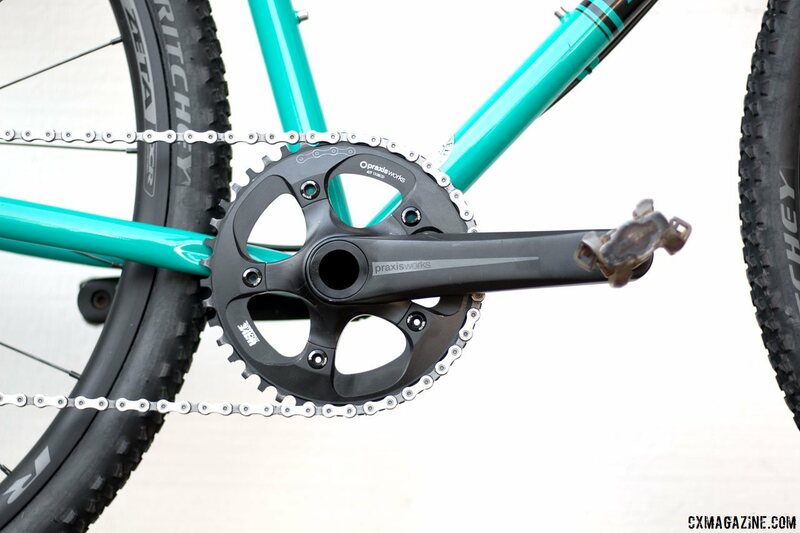 The 68mm-wide threaded bottom bracket drop is 7.0cm and 43.5cm chainstays give a low-slung, long wheelbase of 104.0cm. Our review bike is a large, which has an effective top tube of 56.6cm and a 160mm head tube length to help get the bars up high. The stack is 57.6cm and the reach is 39.5cm. 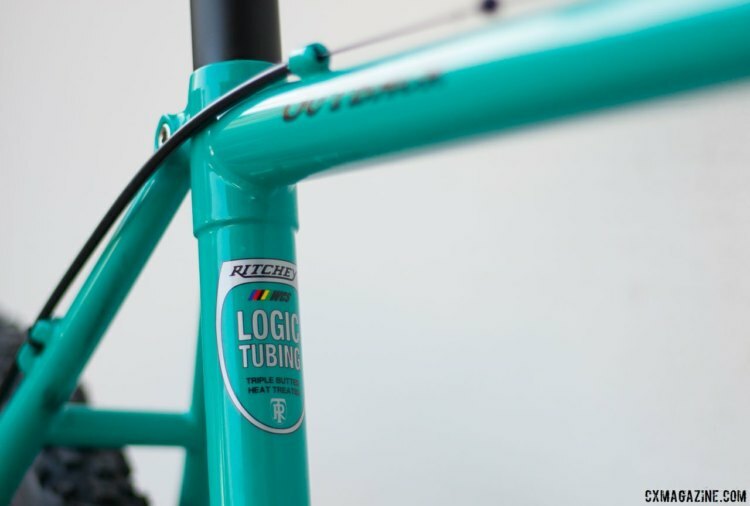 The frame itself is cleanly TIG welded with Tom Ritchey’s signature seat tube ovalization at the bottom bracket junction. All control lines are run externally with the rear derailleur cable routed in an open run along the top tube, while the front is along the down tube adjacent to the rear brake line. The rear brake caliper is post-mounted to a truss that shares the braking load between the seatstay and chainstay. This and the rear 12mm thru-axle dropouts are a design characteristic seen in the Breezer Inversion as well. Dual bottle bosses are in the usual places, but curiously there are no rack or fender mounts! The included fork is a Ritchey Logic carbon gravel fork with a 12mm thru-axle, interestingly with a straight 1-⅛” steerer. Tire clearance for the frame and fork is claimed to be 40mm. The Outback comes in one color: teal, which is seemingly the color of the year for 2017, with so many bikes from different manufacturers spec’d in various shades of the bluish-green hue. The one offering is certainly a far cry from the varied options we saw at the 2016 NAHBS. Ritchey released the carbon Break-Away version of the Outback earlier this year. The lighter go-anywhere travel option certainly appeals to the adventurer in us, albeit at nearly a $2k premium—that’s a lot of flights required to recoup the difference via airline baggage or shipping savings. 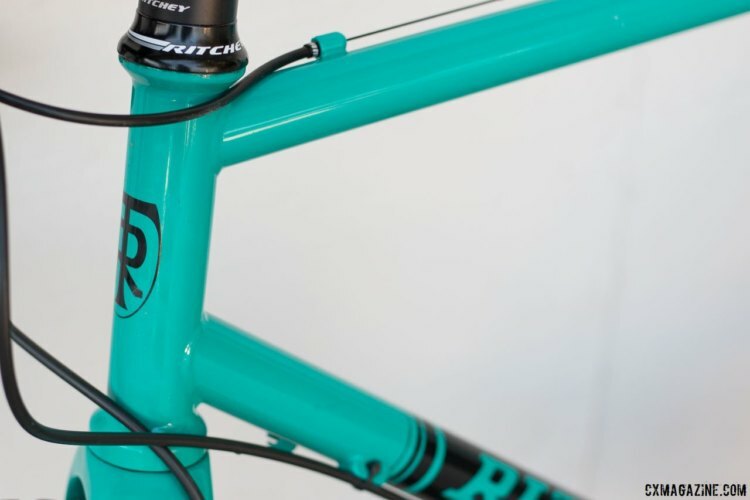 The Ritchey Outback is listed as a frameset only, but for review Ritchey Design provided a complete bike equipped with SRAM Force 1 HydroR levers paired with a Force 1 rear derailleur shifting a 10-42 11 speed rear XD cassette. 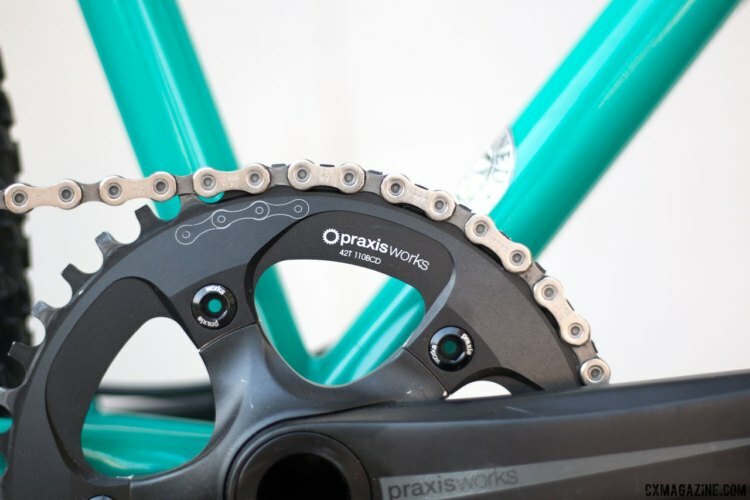 The crankset was provided by Praxis Works and equipped with Praxis’ WaveTechnology 40t chain ring. Other components were Ritchey Logic where they could fill in: bar, stem, seatpost, saddle, wheel and tires. The Wheelset is Ritchey Zeta aluminum with the 38mm Ritchey WCS tubeless Megabite tires that we spotlighted in 2016. I have to disclose I like steel bikes, but as with other materials, the ride on steel can vary widely based on the gauge of tubing, geometry and build technique. Perhaps luckily for me, I have had the opportunity to ride two steel bikes designed by Mountain Bike Hall of Fame inductees who have historically collaborated, Tom Ritchey with this Outback, and Joe Breeze, with the Inversion we spotlighted in the past and will feature with a long-term ride review soon. The approach to the gravel bike category seems to take two slightly varying directions. One is slightly more road oriented, targeting the road rider with a more surface friendly bike, the other is more mountain oriented, targeting the mountain rider with a faster, lighter option for milder terrain and perhaps longer distances. The Ritchey Outback is the latter, based largely on gearing, tire clearance and included tire choice. There are light steel frames and heavy steel frames, the former with a livelier feeling in the ride. The demerit might be long-term durability, but the wear is often based on the terrain it is subjected to and the duration it is out on the road. For example, one of my all-time favorite cyclocross bikes is a custom-made Steelman Eurocross I purchased in 2004 that is made of very light Deddacai Zero steel to support my 155-pound body weight. I raced that bike and rode it year-round off-road for a decade. I dented the thin-walled top tube in a crash along the way and finally cracked the downtube after years of us. It was repaired by Brent Steelman before his retirement and I still ride it today. That’s a decade of hard riding before failure for a superlight bike. The Ritchey Outback has a lively ride. When you tap the tubes you can sense the gauge is thinner than many, although not as thin as the Deddacai Zero tubing on my bike, and along with Ritchey’s not-too-slack geometry, the result is pleasing. On the road and smooth surfaces, it glides along and handles sweeping turns and tight chicanes with aplomb. Once the terrain gets bumpy, the forgiving Ritchey absorbs the chatter, but does not waver when leaned over hard in a turn. In our collective Cyclocross Magazine experience, Ritchey forks have always been among those with the most vibration dampening, but we have never felt that led to handling deficits such as ambiguous cornering or drifting offline, both which can be unnerving. The carbon gravel thru-axle fork of the Outback follows that design. Equipped as is, the Outback is not snappy off the line, and with soft 38mm 450-gram tires, that’s not its game. However, for a short ride, I did swap for a set of wheels with 33mm tubeless ’cross tires on a wheelset that has similar weight and gained some good sprintability with the Outback. Mostly I enjoyed the Outback on trail rides long and short over all types of surfaces, soft and hard, rocky, rooted, loose and packed. The Outback is a choice ride for those conditions, equipped as is with a lower than 1-1 low gear (26 gear inches) and a 4-1 high gear (108 gear inches). The SRAM Force 1 drivetrain shifted quickly, reliably and without the added need to think about when to move chain rings to select the right gear. In my opinion, there is a place for 1x drivetrains, eliminating the complication of front shifting for mountain bikes with rear suspension and cyclocross racing where dropping a chain is worrisome, but for adventure and trail riding, I think a double in front offers more discrete steps that are useful for that type of riding. 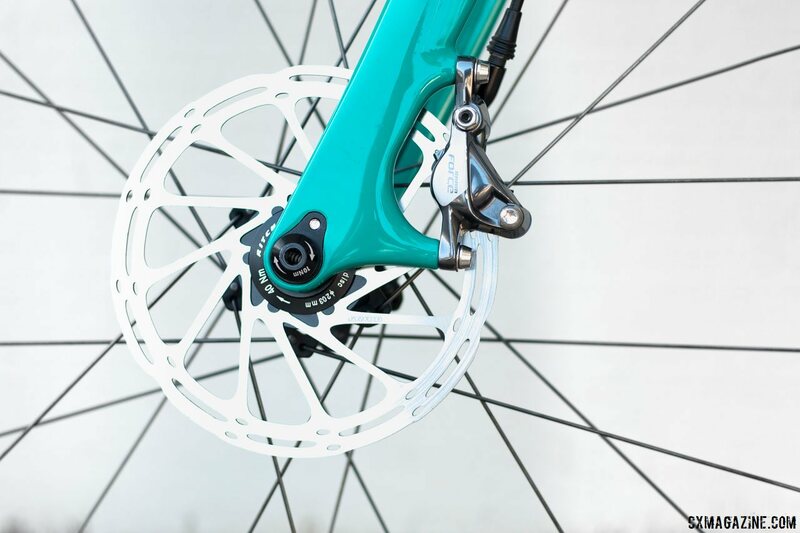 Given the size and weight of the giant rear cassette, any weight difference comparing a double ring system to a single ring system is negligible. One component our team felt needed improvement was the seatpost. The two bolts are side-by-side, one under each rail. No matter how tight we made it, even with friction paste, it would slip when riding in the saddle over rough terrain. With a cyclocross remount, the chances of a skyward pointing saddle nose are even greater. We swapped it for a different post for the majority of our riding after those initial experiences. Update: Ritchey has acknowledged older posts of this design may slip and has redesigned part of its clamp to keep the saddle angle secure. All said, components are easy to change, and the Outback is first available as a frameset only, so equipment is at the whim of the rider. The bones of the Outback is the steel frame and with the Ritchey carbon gravel fork, the Outback is a great platform for all terrain, perhaps similar to the vision for the original mountain bike. The Outback differs from a mountain bike though. It is friendlier for the everyday rider with its lower bottom bracket and more nimble geometry and modern equipment—disc brakes and tubeless tires—further aids the level of reliability and control. If I were to own only one bike, this would be on my short list of bikes to check out. If only it were fillet brazed by the man himself! Ritchey describes itself as a company focused on ride quality, and the Outback is a perfect example of this philosophy. It’s not the lightest or stiffest machine but offers a smooth ride that lets you focus on your adventure and scenery. There are horses for courses, and the Ritchey Outback is the western steed, versatile for the majority of terrain but lacking at the two ends: ultimate speed and trails with advanced difficulty. No bike can do it all, and this bike can handle most of it. It’s the one you’d take out to explore, test your limits, and it will still get you back safely. In a bumpy, technical cyclocross races, it was equally at home in all but the hairpin turns. It’s a bummer that it lacks eyelets for fenders or racks, which would expand its utility at the expense of cleaner aesthetics, but we’re told, Tom Ritchey wouldn’t ride with fenders anyway. Plus, today’s trend is for frame bags over panniers should your Outback escapades span more than a day. We hope to throw a leg over the carbon Break-Away version soon to compare, but our test rides have been conclusive. 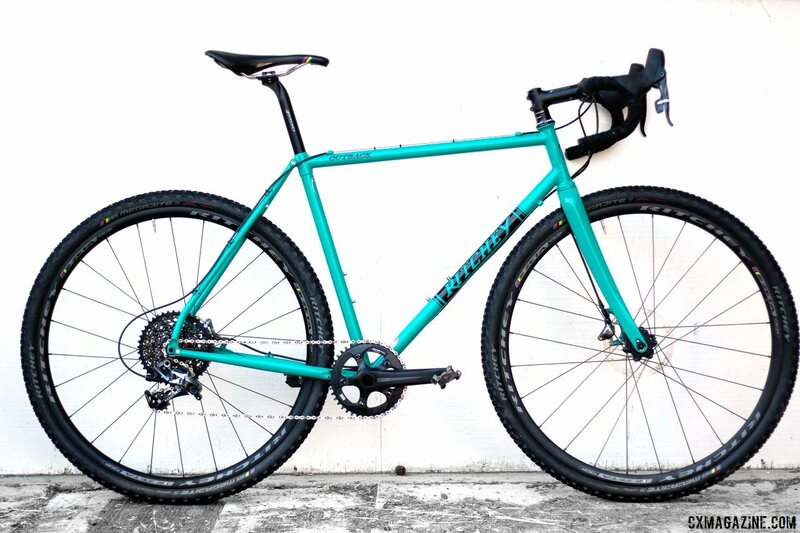 Ritchey’s teal steel has plenty of appeal. Next post Triumph. Disappointment. Redemption. Tobin Ortenblad's Month in Three Acts.